We are pleased to offer for sale these 18x24 Picture Frames by BCW. This Pack of 10 18 x 24 Picture Frame Toploaders is made to store and display photographs, prints, posters, and documents measuring 18" x 24". 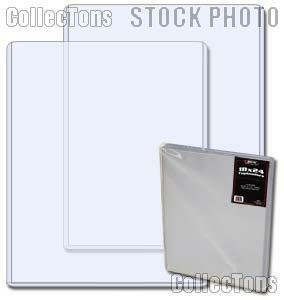 The high clarity, high impact, rigid, PVC 18x24 Picture Frames are ideal for long term storage. The PVC used contains no plasticizers or stearates and will not migrate or harm your items. These 18x24 Picture Frames open at the top for easy insertion. Each 18x24 Picture Frame holds a single photo, print, poster, or document. 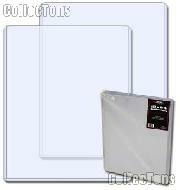 No wall hanging hardware is included with these clear plastic toploading 18x24 sleeves. These 18x24 Picture Frames are new from our inventory.